Americans can imagine a sustainable world, but can they attain it? The answer may lay in the deeply-held beliefs - the hard constants - that Americans carry with them. Sustainability, after all, means changing one’s behavior by using fewer resources, adjusting consumption patterns, altering daily habits, and thinking long-term. In his new book Hard Constants: Sustainability and the American City, Tony Favro shows that sustainability is neither obvious nor assured. The future of sustainability - if sustainability has a future - will be located in an acknowledgement of universal values, in participatory democracy and in human-scale design. Hard Constants reveals the hard truths about sustainability - and what we can do about it. 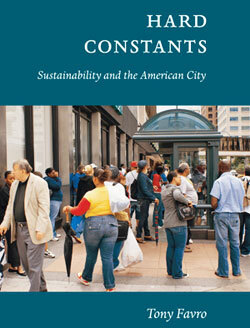 Hard Constants: Sustainability and the American City, published by The City Mayors Foundation, is now available free of charge. To receive a pdf copy, please complete the below order form. Libraries of academic institutions may receive a free hard copy. Please provide contact details such as name, occupation and any organisation and, if you work for a library and wish to receive a hard copy, a complete mailing address. The concept of sustainability or sustainable development involves getting people to change their behavior, use fewer resources, adjust their consumption patterns, alter their daily routines, and think long-term. It may sound simpleafter all, incentives can get people to walk more and use less electricityyet the mostly unconscious basis for Americans’ sense of who they are, how they experience the world, and how they think they ought to live, makes sustainability an elusive proposition in the United States. The stakes are high. America is the world’s largest resource consumer, and recent literature has established a clear link between adopting a sustainable development trajectory and purposefully addressing resource dependency and depletion, critical national budget challenges, and climate change. It’s not unreasonable to claim that America’s leadership on sustainability is central to the continued prosperity of essentail global systems. Recent literature also has begun to move beyond the economic and environmental arguments for sustainability and to explore the importance of political, social, and cultural factors which influence sustainable development. In almost all cases, such factors are studied in terms of national policymaking styles or particular cultures or private-public partnerships or citizens as actors, advocates, and agitators. 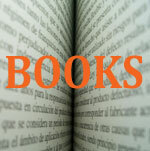 The literature discusses how these factors shape various political and economic models. Regardless of whether our models are generated by national culture, the marketplace, or empowered citizens, there is a deeper philosophy behind them. Hard Constants explains the philosophical underpinnings of Americans’ thoughts and actions as they relate to sustainable development. Racism, competition, and the passionate fulfillment of individual rights are among the “hard constants” that structure Americans’ experience of the world and their hopes and aspirations within it. Sounds dense? It’s not. The beauty of Hard Constants is that it provides an introduction to the forces underlying deliberate daily behavior in an understandable and digestible depth. We see how these forces influence job seeking, civic leadership, economic development programs, the mass media, and, especially, the practice of urban planning and architectural design. We see how these deep forces are codified in legislation and custom. Why do Americans plan their cities, their lives, their futures? They have no choice; it’s what defines Americans as modern. Yet, if a plan leaves something out, the problem will be falsely posed. And the hard constantsthe unconscious basis of Americans’ sense of what is realalmost assure that much will not be said. Capitalism, for example, so dominates thought processes that Americans can’t think of sustainability or anything else, except in terms of markets. But it’s not capitalism alone. Science does an excellent job of reducing existence to matter (which becomes commodities), and modern American common sense has virtually no use for universal values (which helps maintain a healthy stock of individual consumers). Racism, for its part, keeps Americans racing against one another to the top of the socioeconomic hierarchy as well as distancing themselves from each other spatially, as the chasm between cities and suburbs attests. The point is, even when Americans exchange one point of view in favor of another, they still think along the same lines. The term “hard constants” does not imply stasis or impassibility, but indicates the general character of an American culture which is rooted in a repertoire of highly-evolved, inherited, and shared beliefs and values, while remaining capable of enormous flexibility and variety. The hard constants that propel American life are vigorous, adaptable, widely understood, and popular. Such familiarity augers well for their retention. Virtually nothing in the character of 21st century American life which could only or best be developed with sustainability is obvious. Curiously enough, we may have evidence of the truth of something we can’t really understand, and that may be the case for sustainability. Hard Constants locates the future prospects for sustainability in an acknowledgement of universal values, in participatory democracy, and in human-scale design. Values - the standards we set for ourselves and others - are at the heart of sustainability. Intersubjective values can be measured, negotiated, and applied using newly-developed quality of life indicators, opening the possibility of more universal and intercultural accountability. The social media and other emerging power-checking mechanisms promise to invigorate received ideals of democratic freedom, equality, and justice. Design, at the rediscovered human scale, can restrain the ego of designers, developers, and marketers, tap into collective memory, and guide users along more sustainable pathways. Hard Constants is highly readable. It explains everyday metaphysics in clear, straightforward prose. The subject of Hard Constants is sustainability, but the book does not talk much of new technologies or new policies. Quite simply, they are not its subject matter. Hard Constants is intended to be read alongside, not instead of, the many books on sustainability which do treat those things. 6 - Why Do We Plan? 16 - Form or Function? Tony Favro has more than 30 years experience in private real estate development and public-sector community development, encompassing a wide range of construction, planning, zoning, research, and public involvement initiatives. His senior project management experience spans diverse environments, including downtowns, inner city neighborhoods, waterfronts, new and ageing suburbs, historic villages, and rural corridors. Tony Favro's operative understanding of strategic master planning and real estate markets allows him to be highly responsive to key aesthetic, cost, and public outreach issues involved in responsible land use development. 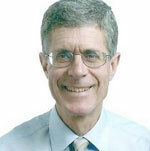 Tony has authored nearly 100 articles and research papers on public policy. He joined the City Mayors Foundation in 2006, becoming US Editor in 2008 and Fellow in 2010. He earned a BS degree in Urban and Regional Planning from SUNY Empire State College and MA and PhD degrees in Geography from the Maxwell School of Syracuse University. Tony Favro also maintains the blog Planning and Investing in Cities.